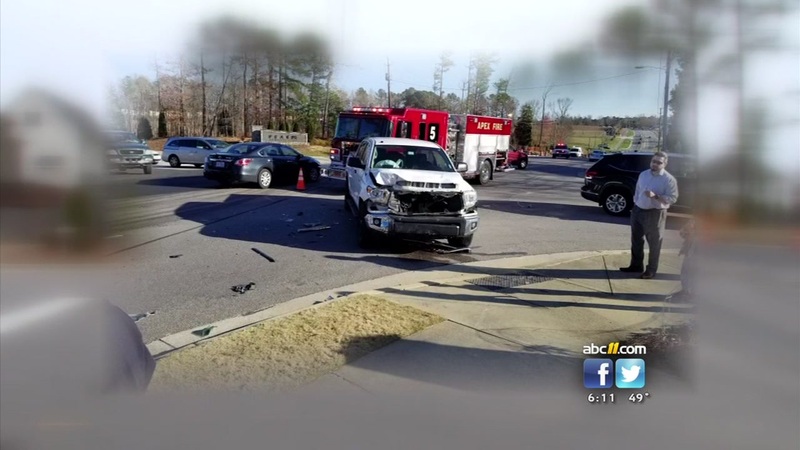 Since 2017, Apex Police say there have been eight crashes at the intersection. APEX, N.C. -- Drivers making illegal left-hand turns at a dangerous intersection have been keeping the Apex police busy. On April 4, the Town of Apex made it so drivers can only make a right hand turn from Beaver Creek Commons Drive onto Kelly Road. In the first seven days of the new traffic pattern, Apex police have handed out 40 tickets, 35 written warnings and 8 verbal warnings. There have been eight serious crashes at that intersection in the past year. Police are asking drivers to turn right off of Beaver Creek Commons Drive onto Kelly Road towards Highway 64. Drivers can make a legal U-Turn at the Kelly Road/Highway 64 traffic signal. Apex leaders plan on getting a traffic light installed there by the end of May. The North Carolina Department of Transportation has a plan to allow residential developer Beazer Homes to install the light at the intersection. Beazer has not started work on the $150,000 project but the town will likely loan money to Beazer to get the light installed.